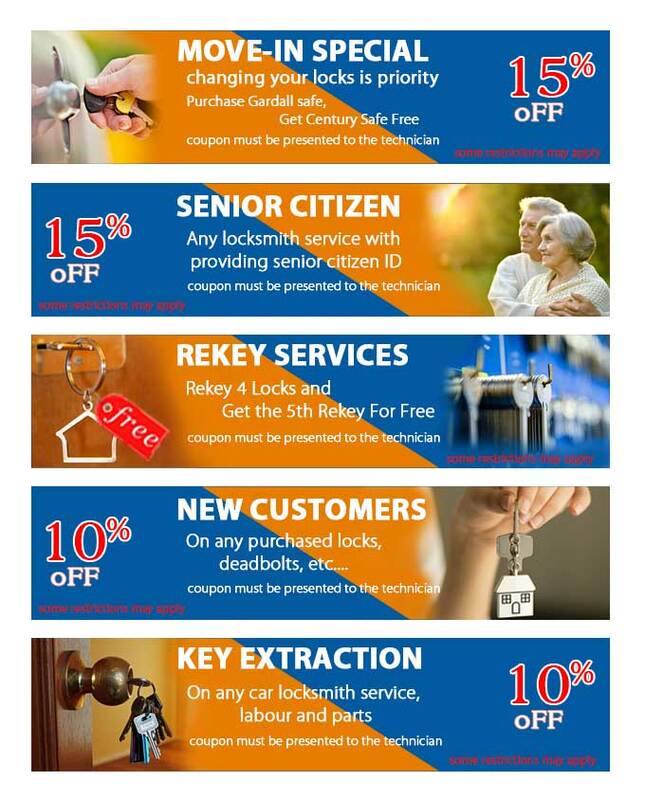 We’ve been the most affordable and budget-friendly locksmith company for years! What if we told you that our services could cost you even lesser? Yes, with an array of coupons for you to choose from, you can get discounts on the service bill. Choose a coupon and redeem it today!